We have a house full this weekend as Lawyer's brother is staying with us while he house hunts. They are relocating from Palm Beach to Georgia later this summer. 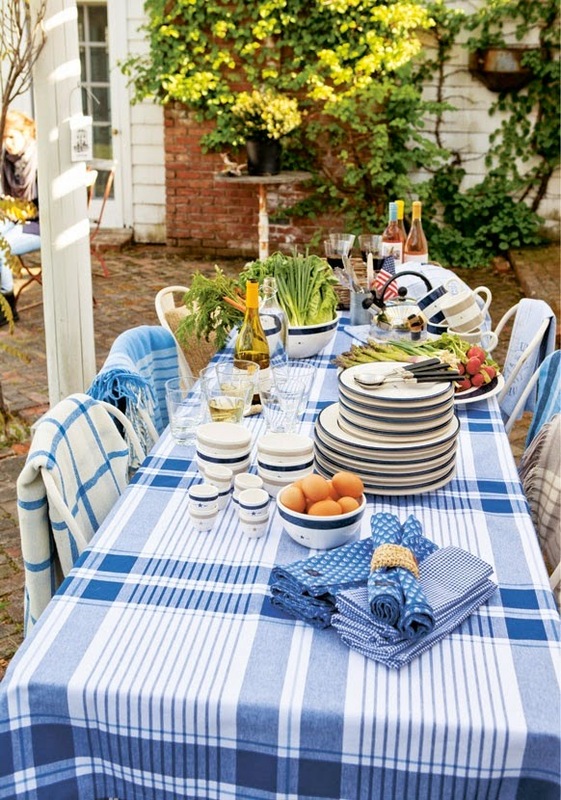 I have noticed that when we host company or guests for dinner I gravitate to all blue and white. 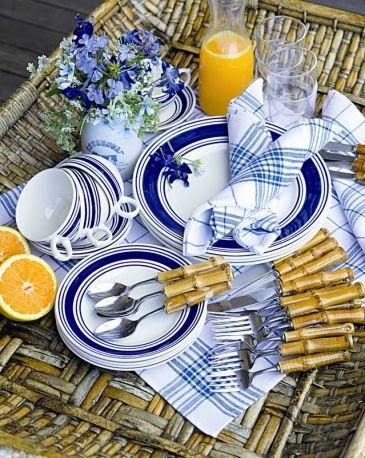 This time was no different as I pulled out my blue and white plates and trays along with my bamboo flatware. Since we have so many staying with us along with the rest of the Minear clan rolling in and out at various times we seem to stick to easy meals. Tacos, hamburgers, hotdogs ... the easy things the men can make happen for large groups! And the larger the group the more quickly I pull out my blue and white picnic items. Yesterday it was blue paper plates, paper napkins and plastic ware ... all in the blue and white theme so I appear to have put some time and effort into it instead of just running to the paper closet and grabbing what I have. Truth be told ... I did just that, however I only seem to purchase blue and white to coordinate with all my amazing blue and white melamine serving pieces! 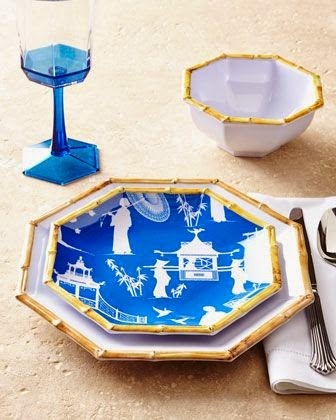 While I only own the platters in this amazing pattern, I am simply over the moon for this Chinoiserie Melamine dinnerware. It takes all my simple blue and white paper goods to the next level each and every time I use them. 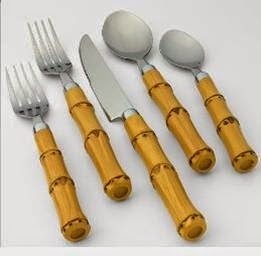 For smaller groups I can use my bamboo flatware to dress it up but for larger groups I have to revert to the plastic utensils. I simply add these to a blue and white jar or bowl for fancy dressing and call it a day. We love the bamboo flatware I scored from Horchow for a song. It happened to be on sale at the time and I purchased two sets for next to nothing! Tonight should be a smaller crowd ... just the 9 of us, possibly a few more. I am thinking of ordering pizza and heading to the pool for a quiet evening. I can pack up some plates, napkins and a tray if we need it and still appear pulled together all the while I will have taken the easy way out for sure! I love my paper linen closet. Im such a pattern and textiles freak so I love impulse buying pretty paper products. I stocked it last year when tj maxx and home goods were overrun with Caspari and Lilly Pulitzer. Tuesday Thrift ... Charlotte thrifting! Thursday happenings ... Photo Shoot!